It’s St. Patrick’s Day! Part of the fun of this holiday is sampling exotic beverages. All-inclusive resorts make this activity more affordable, and (fortunately for you) more enjoyable. These same resorts pull out all the stops when it comes to showing you a good time. Some offer eye-popping swim up bars, others feature bars with signature drinks that seem straight out of the movies. Five of the best, and most creative bars are outlined below. Makes you just want to jump on that next plane, doesn’t it? 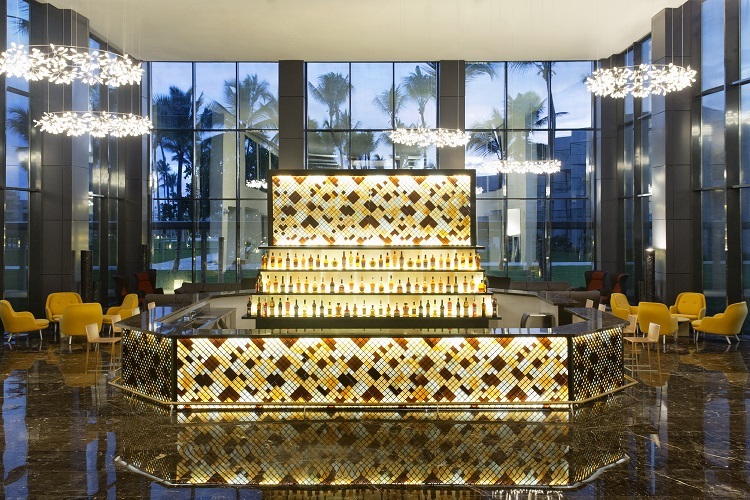 A gem on the Mexican Riviera Maya, the El Dorado Royale is famous for its Martini Bar. Located in the hotel lobby, within easy reach of James Bond and all others who savor the potent cocktails, this watering hole serves up 30 different martinis. The signature version, called the Dorado Martini, is a drink fit for a king or anyone else that prefers their beverage “shaken not stirred.” Tiny bits of real gold enhance the shimmering beverage, the ultimate extravagance. Settle into a chair, inside or out and treat your taste buds while you enjoy the view. 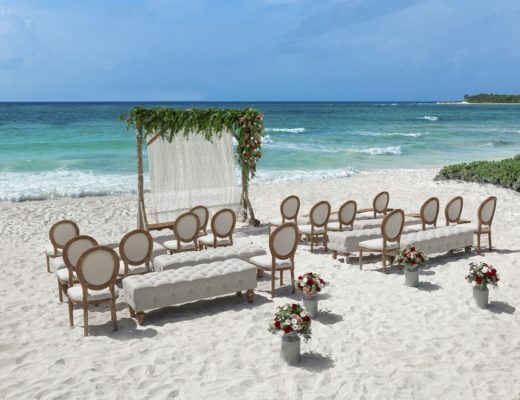 Secrets the Vine Cancun is a luxurious escape fronting the clear blue waters of the Caribbean Sea. 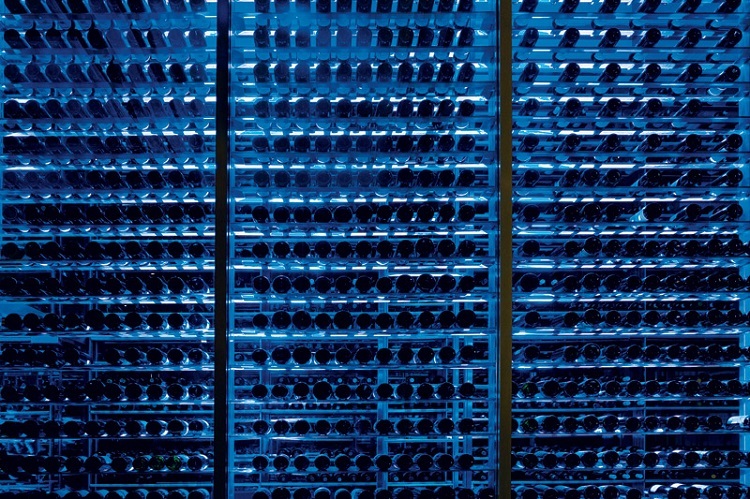 Among its treasures is a wine cellar that has roughly 4,500 bottles to choose from, many included in the all-inclusive rate. One notable exception is Chateau Lafitte, a famed vintage that goes for roughly $3,000 per bottle. 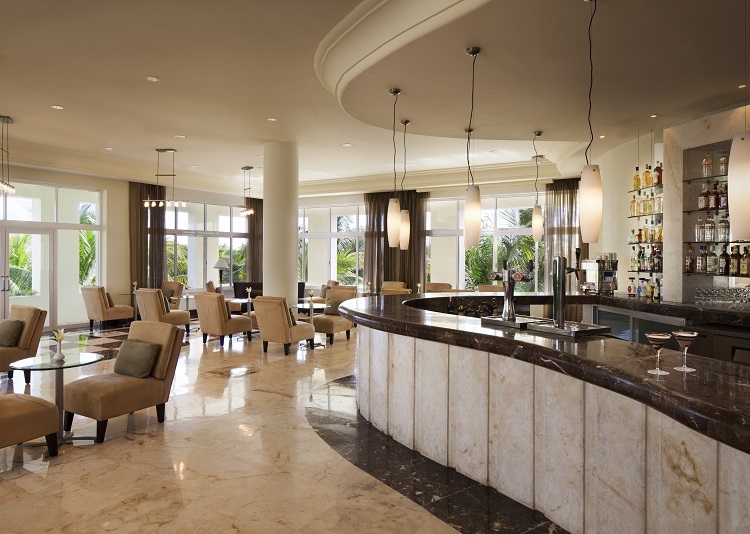 Enjoy wine with your meal or participate in a wine tasting group at the casual Vine Bar. Some of the local varieties on the menu include vintages from Guadalupe, Santo Tom’s Valley and San Vincente. 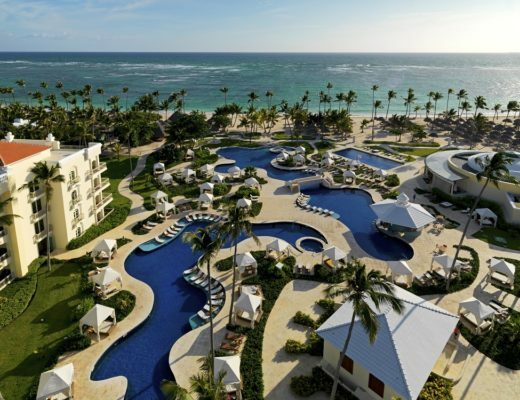 Sitting on the eastern tip of the Dominican Republic, the Excellence El Carmen offers an all-inclusive vacation experience in the heart of the Caribbean. Walk into the high-ceilinged lobby, complete with marble flooring and an assortment of colorful armchairs, and you can almost feel relaxation mode kicking in. 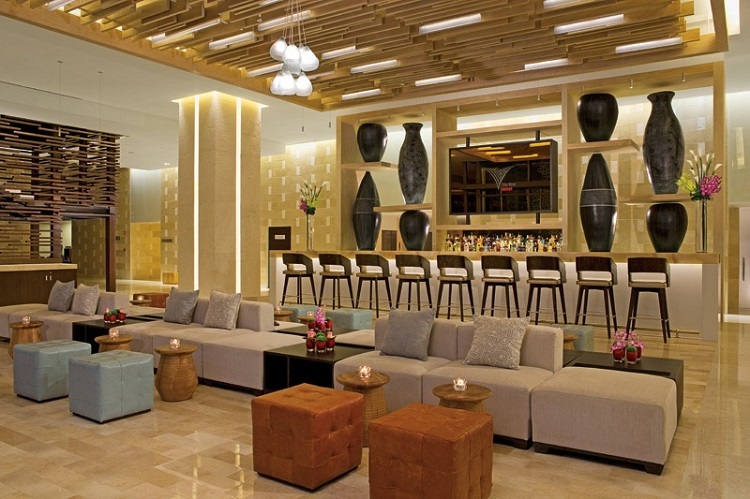 El Carmen’s lobby is also home to a huge bar with comfy seating and a relaxed atmosphere. Nearby is a slightly smaller sports bar where you can keep track of your favorite teams back home while indulging in pizza and a cool one. Then head right next door to the Café Aroma for some aromatic coffee and a sweet treat. 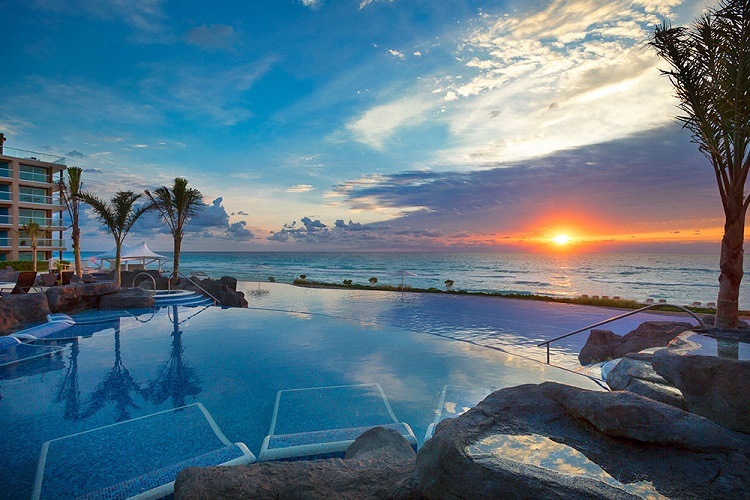 Not only does the Hard Rock Cancun boast a decadent swim-up bar, the adjacent infinity pool is a feast for the eyes. Relax on lounge chairs on the tiled, slightly underwater deck, then swim the few yards to the kiosk-like bar with the distinctive white sail roof. From either vantage point, the edge of the pool seamlessly matches the blue waters of the Caribbean. If you’d rather stay on dry land, a pathway leads to a seating area on the opposite side of the bar. A variety of spirits is offered. Imagine sitting down at a bar and the seat moved, on its own. At the Trade Winds Beach Bar at the Gran Porto Real in Playa Del Carmen, that’s exactly what happens. 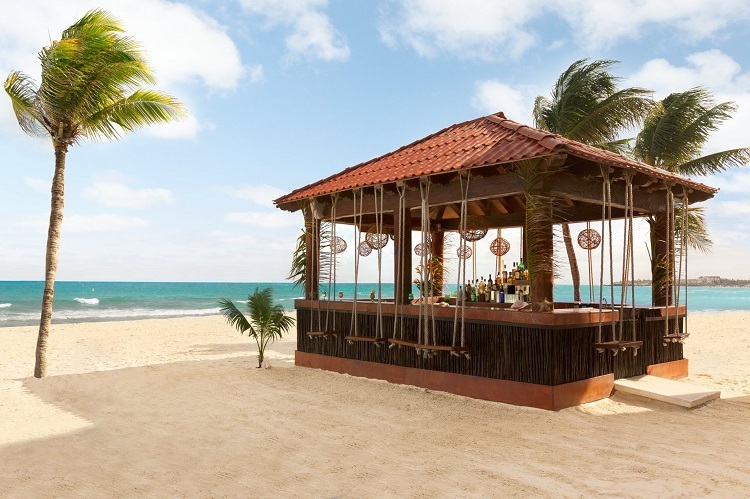 Featuring swing chairs that wiggle when you do, this is the place to enjoy a cold margarita within sight of the Caribbean Sea. 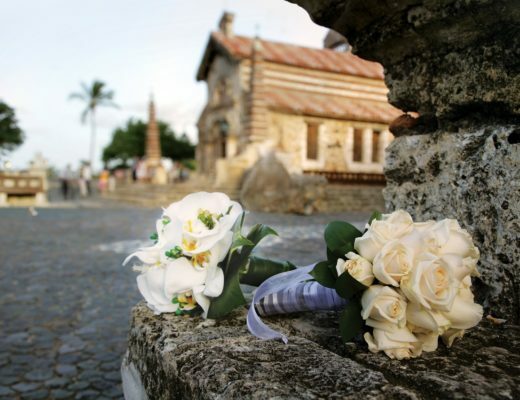 Try some rum on the rocks or an assortment of mixed drinks, with or without alcohol. Boldly colored tile work and a ceramic tile roof on the free-standing bar add a touch of the exotic and a sense of fun to the scene. Whether you’re Irish or not, feel free to celebrate today and all it’s traditions (responsibly)! For more inspiration and fun, visit our website or Pinterest page.